Let’s be honest, if your child is going to be one a cool teenager, he or she will probably be buying vinyl to spin on an old school record player. 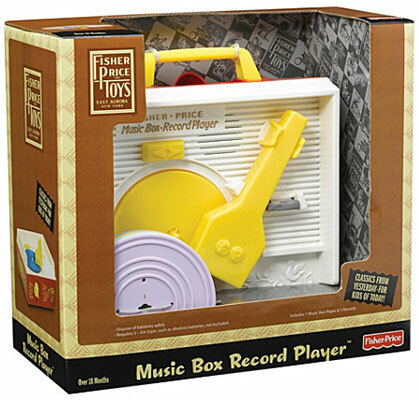 You can help them along the road from an early age with a classic, the 1970s Fisher Price Music Box record player. This iconic toy was first seen in 1971, but returns in the modern era as part of the Fisher Price Classics range. Not a lot has changed to be honest. Just stick one of the five double-sided records onto the turntable, wind it up, drop the needle on the record and hear a ‘music box’ version of a classic melody. 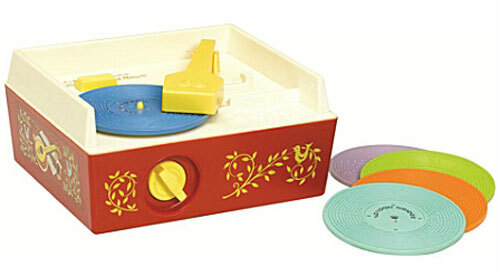 When done, the records slop inside the player and the whole thing has a handle to be carried around. A great place to start if your child loves music and good for 18 months onwards. £29.99 is the price.